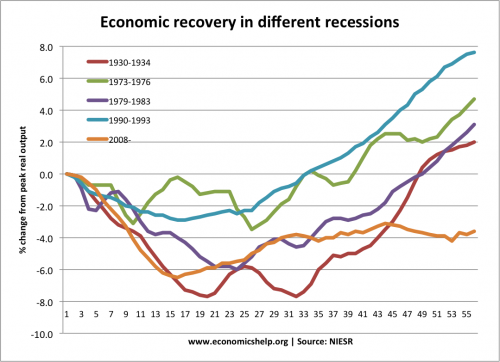 Home > Economics help blog > recession > How Long Do Recessions Last? Readers Question: How Long do Recessions last? There is no exact answer. 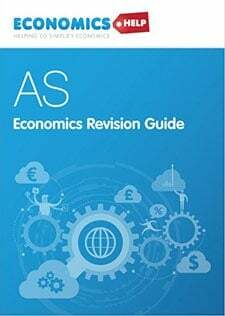 Recessions can last for varying time lengths depending on the causes and also the response of governments and consumers. If recessions are caused by a tightening of monetary policy (higher interest rates to reduce inflation), then it tends to be easier to get out of a recession, as the interest rate rise can be reversed and this will boost demand. If the recession is more of a balance sheet recession (bad debts, falling asset prices, bank losses), then the recession will tend to last much longer. For example, in 2009, interest rate cuts were insufficient to boost demand. 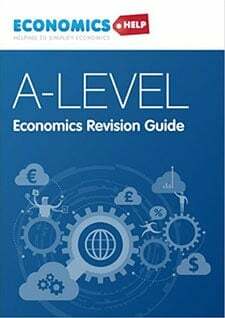 The Great Depression started in 1929 – by 1933 there was an economic recovery – though GDP did not recover its pre-crisis peak until 1936. 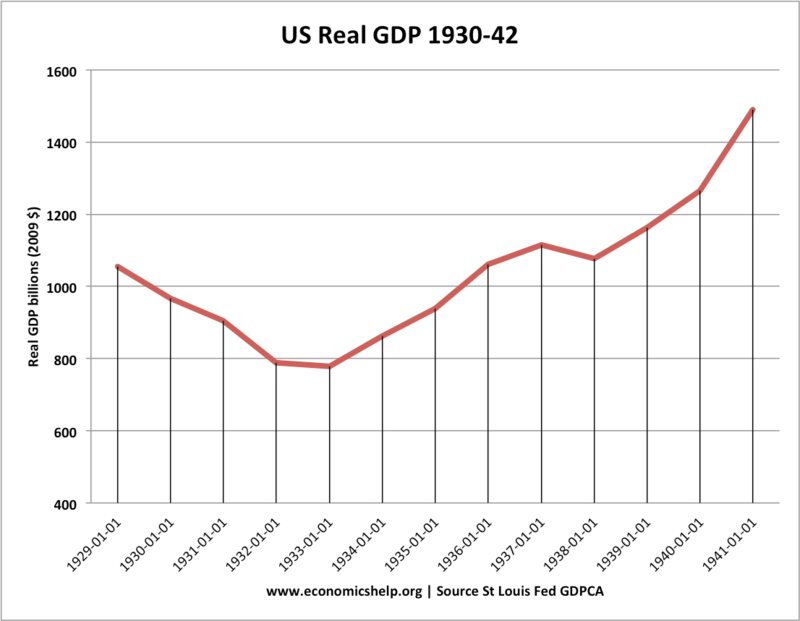 Before the depression, there had been growth in private consumption and debt, which left individuals and firms exposed. Global nature of depression. Many countries increased tariffs to try and protect domestic industries, but this caused lower global trade. In response to depression, Government’s tried to balance the budget by increasing taxes, but this caused lower spending.. Allowing banks to fail, which led to a sharp fall in the money supply and lower aggregate demand. 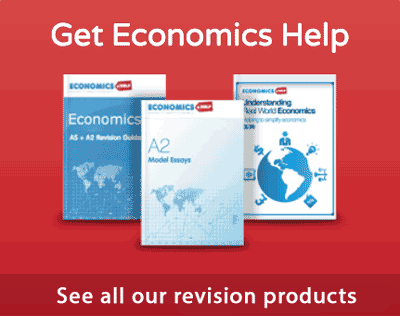 In recent years, recessions in the UK and US have lasted for shorter time periods. 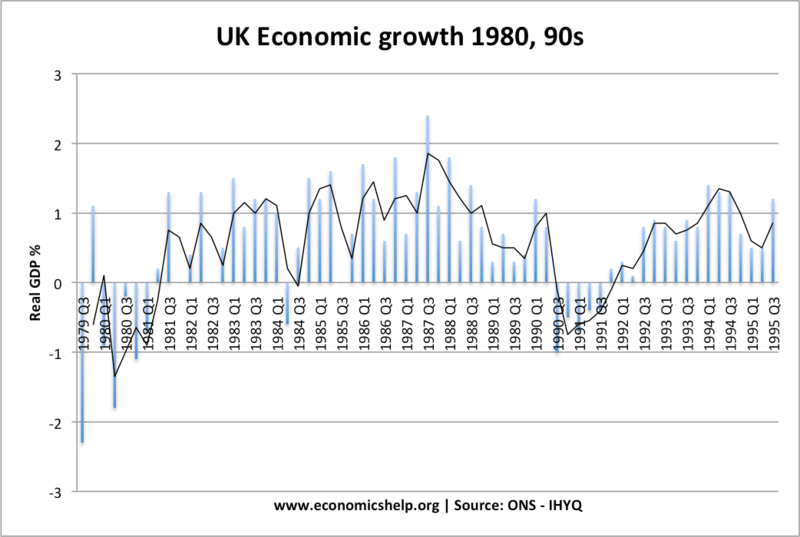 UK recession 1981 was severe for the manufacturing sector but lasted less than a year. However, unemployment persisted at close to 3 million for another five years. 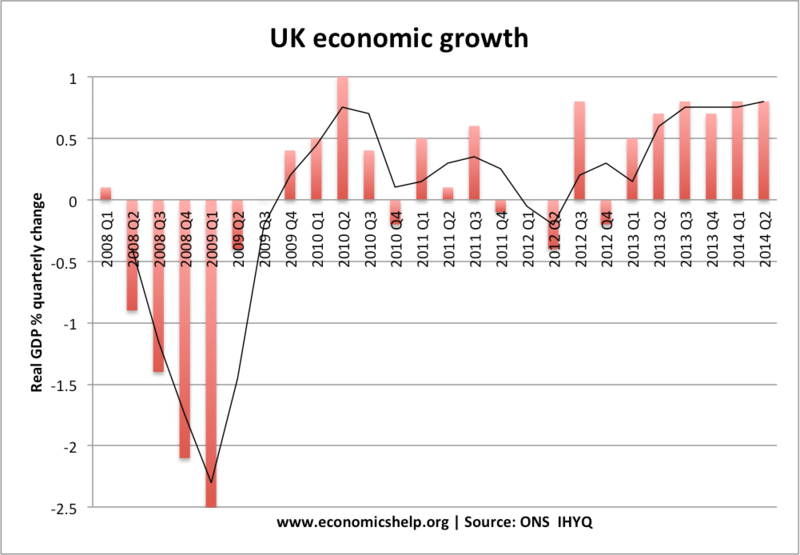 UK recession of 1991 – lasted less than 12 months, but when the UK exited the ERM and cut interest rates, the economy recovered quite quickly. Throughout the 1990s and early 2000s, the Japanese economy experienced a period of recession and very sluggish periods of growth. Technically, the economy was not always in recession because it was expanding very slowly, but it felt like a recession because confidence was very low and growth extremely limited. 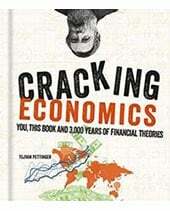 This was mainly because of deflation – falling prices which make growth very difficult. Bank losses from bad debts. Consumers try to pay off debts incurred in years leading up to the recession. This entry was posted in recession and tagged recession. Bookmark the permalink. PLEASE, what does AD mean in this context? its time for make more profit in the world for normal people , and its time to save money on any purchases. so save more money time never wait for any one………. This is a terrible website. 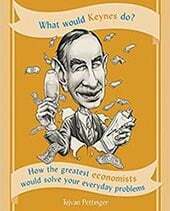 Keynesian economics failed back in 1930s America. Henry Morgenthau admitted, finally, no one can spend their way out of a recession. Don’t blame Obama. Don’t even blame most Republicans. If you need to blame, try Bill Clinton and the Republican congress in the 1990’s then blame W. For burying his head in the sand and running up the debt. The recession is here to stay for another 8 years so get used to it. 1)the housing market will slump again. Nobody wants it but it will. Some received a bandaid that won’t hold. Many have been “holding on” but more foreclosures will soon occur. Thank Clinton and a Republican congress. 2)gen X can’t pay back their student loans, and have tried but can’t – thank Clinton and the Republican congress. 3)I work in wholesale. High end stays, low end stays, middle end closes. Half the wholesale showrooms closed because they catered to the middle end market. Which means “most of us”. No sane middle class person will buy this crap now-a-days. Upper class stays, working class stays, middle class? Well they will survive but has stopped spending irrationally. 3)housing market has effected all jobs upheld by state tax: education, construction, arts, tourism all down the toilet for a while til there is enough funds in state tax account. 4)The unemployed stay “unemployed”. They may stay off the statistics. They may get a job here and there but they do not have the job they had And won’t get one for a long while. And if they have a job they pray to keep it and do not spend. 5)we are wising up. And our greater wisedom means we don’t spend. But things like gas and food increase in price. This is bogus. 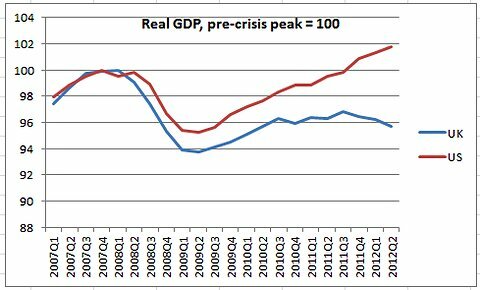 We are definitely in a recession, as well as a war for that matter. And it has already lasted several years. All this article is telling us is that we should expect it never to end. this is caused by banks recalling debt without due notice , no american government can change the way the country is without closing the central banks like andrew jackson tried.